Canada has long been controlled by a handful of mind bogglingly large banks. The big five control 75-85% of the banking market, depending on the sector that you’re looking at. The oligopolistic structure of the system has long emphasized conservatism in regard to both pricing and innovation. While their conservative nature offered shelter during the financial crisis of 2008, allowing the Canadian economy to recover more quickly than some other countries, it has also resulted in a lack of innovation in the industry to the detriment of the consumer. Customer experience and satisfaction have taken a backseat to ballooning profits. Today, interest rates within Canada are the lowest they’ve been in decades, yet the price people are paying for consumer credit, like credit cards and personal loans, is as high as ever. The typical Canadian owes more than $21,000 in consumer debt excluding their mortgage, which is an all-time high. The peer-to-peer lending phenomenon that took the United States, the UK, and much of the rest of the world by storm has made its way north of the border, bringing in tow a much more palatable proposition for consumers that are sick of overpaying for their credit products. 46% of Canadian credit card holders are carrying a balance every month. With the average credit card rate hovering at 19.9% or higher, Canadian consumers are shelling out a lot of money in interest, inflating the banks’ bottom lines. Peer-to-peer lenders are promising to alleviate this problem, whether a consumer is looking to pay off their existing credit card debt or make a major purchase at a much cheaper interest rate. They also bring with them the promise of a vastly greater level of convenience. From the comfort of your couch and pyjamas, in 2 minutes you can now apply and qualify for a loan. Within as little as 24 hours, the money is deposited into your bank account. A process that used to take weeks and potentially multiple in-person meetings with a loan officer at a bank has been condensed into a few mouse clicks and keystrokes. Unburdened by legacy systems, peer-to-peer lenders have been able to take advantage of today’s technology to offer a level of service and affordability that the banks struggle to match. By cutting out much of the costly overhead typically associated with banking, these new-age lenders have been able to reduce rates, while at the same time improving speed and quality of service. At the head of the Canadian peer-to-peer lending charge is Grouplend — a Vancouver-based startup that launched in 2014. With over $50 million in loan applications in 2015 alone, their 3-year unsecured loans have been welcomed with open arms by prime-quality Canadians looking for cheaper access to credit. Grouplend offers interest rates ranging from 6.3-17.5%, and each of their borrowers’ rates is personalized to the individual. The company takes many different data points into account when evaluating a person, like their credit score, income, employment data, spending habits and other publicly available pieces of information, among many others. The application process is quick and convenient, with the borrower receiving a no-obligation personalized quote in 1-2 minutes, all without affecting their credit score. 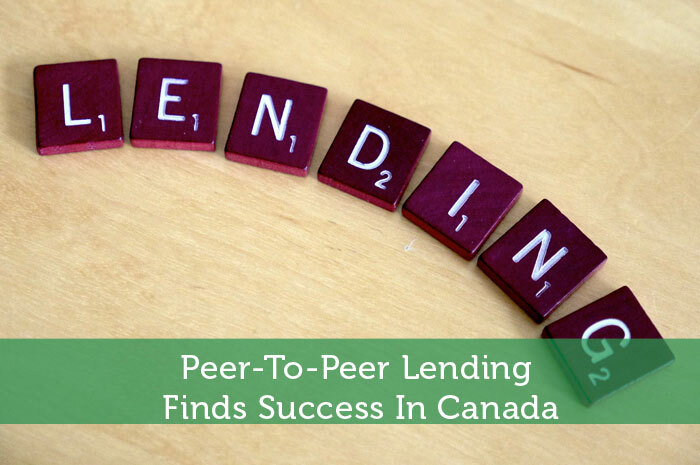 Other entrants have emerged within the peer-to-peer lending space alongside Grouplend to give Canadians even more options as they search for more convenient and affordable access to credit. And, if the first few months are any indication, peer-to-peer lending has found a home in Canada. I find the startups for peer-to-peer lending to be a really interesting development! Glad to see it’s having some success in Canada. Definitely gives me hope to see it to become a bigger thing here too. Good for Canadians. I really like the concept of peer-to-peer lending here in New Zealand. I find it have more pros and cons. What I mostly like about it is that applicants can accept the loan as soon as it’s fully financed. Unfortunately, my state – Arizona – does not allow peer-to-peer lending; would love to get in on this type of investment. Perhaps soon they will change the applicable state law. Great to hear it’s working out for Canadians. Hope it works out well for both lenders and those looking for cheaper credit … sounds like an interesting development!